Isn't it great when you can find an alternative food and drink snack, which is healthier, but still tastes delcious? Recently I've been trying to go on a little bit of a health kick, mainly due to the summer holidays, and with a wedding or two on the horizon, one in particular where I'm going to be a bridesmaid it's time I starting watching what I eat! I've mainly started by trying to swap out any naughty snacks (like coffee, chocolate, biscuits etc), either by not having it in my diet, or if I've got a serious craving, I'm opting for an alternative which is still indulgent, but a much healthier alternative. Alongside going to the gym three times a week and making sure I eat all three meals a day (lets just say I've got into an unhealthy habit of skipping breakfast!) with little to no snacking in-between, plus plenty of cups of green tea along the way. It's pretty much always going to be impossible for me cut out any of my snack favourites completely so I thought what better way than to trade in with something organic and natural? 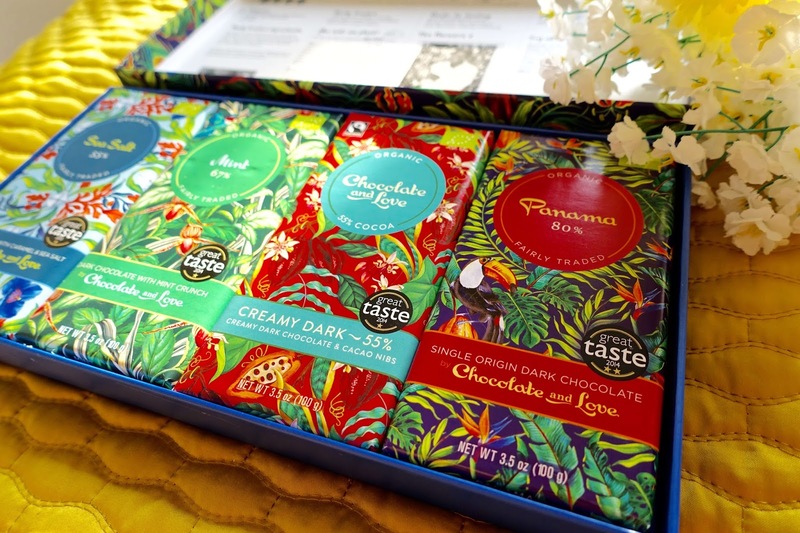 Chocolate and Love is a family owned company which was created by husband and wife chocolate connoisseurs, Richard and Birgitte. 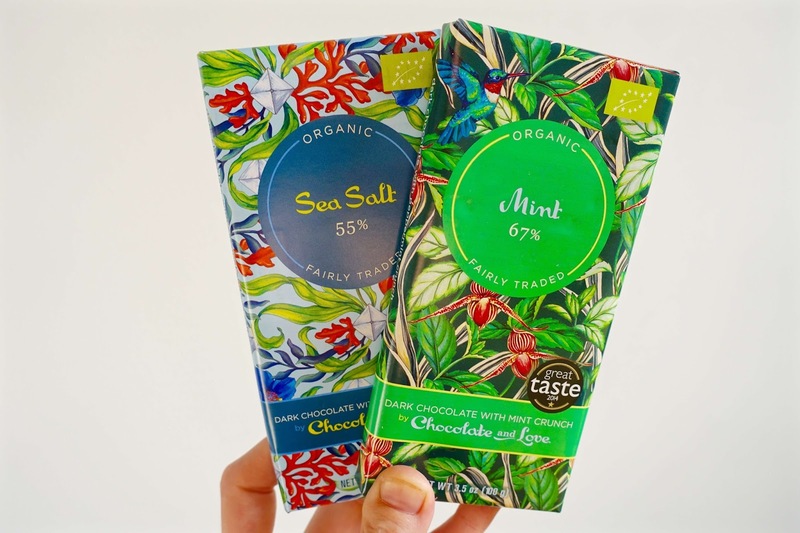 The range has more cocoa and less sugar than many bars on the market - even the brand’s lowest cocoa content product is still a sumptuous 55%! Additionally to the high antioxidant levels naturally found in cocoa, each bar has the added health benefit of being gluten free, GMO free and completely natural with no additives. 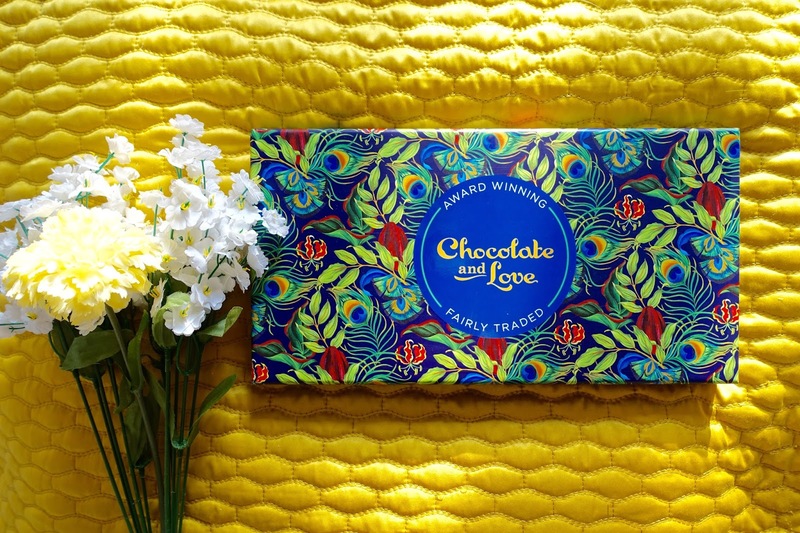 With delicious flavours such as mint, sea salt and creamy dark chocolate carefully wrapped up in beautiful, glossy packaging why would you say no to chocolate and love? Personally I struggle to keep on top of drinking the recommended two litres of water a day, either because I'm too busy at work to notice I'm not drinking enough and forget to take breaks or I purely for the reason that frankly, I find water quite bland and boring so tend to reach for another option. 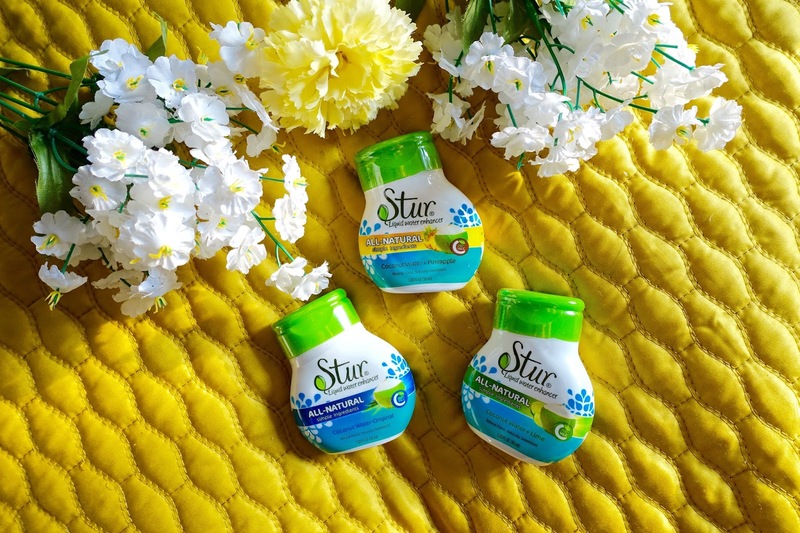 These liquid water enhancers from Stur offer a premium, healthy and delicious alternative to high-calorie, and sugary drinks for women on-the-go – ideal for keeping hydrated in the summer! The range is made solely with natural fruit flavours and lightly sweetened with the highest quality, natural stevia leaf extract. Containing zero fat, calories and sugar and 100% of RDA of Vitamin C in every squeeze. So now I enjoy drinking water! 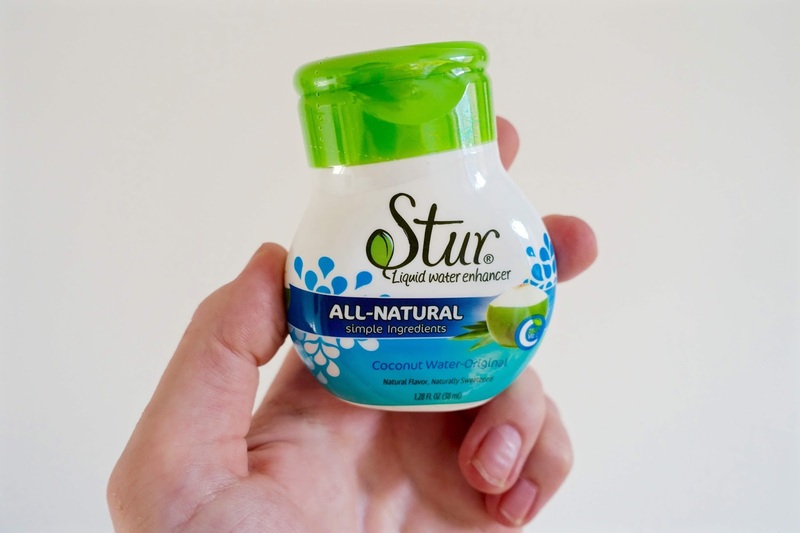 I received the Stur liquid water enhancers in three light, fruity flavours; coconut water original, coconut and pineapple and coconut and lime! It's great because I can now jazz up my water with some flavour - just like I would with my squash. Also with these handy size bottles they're ideal to pop straight into my handbag for work on my way to work. I used to drink two or three cups of coffee a day to get me through the working day and for the past couple of months have been trying to switch out one or two cups of coffee a day for a green tea. 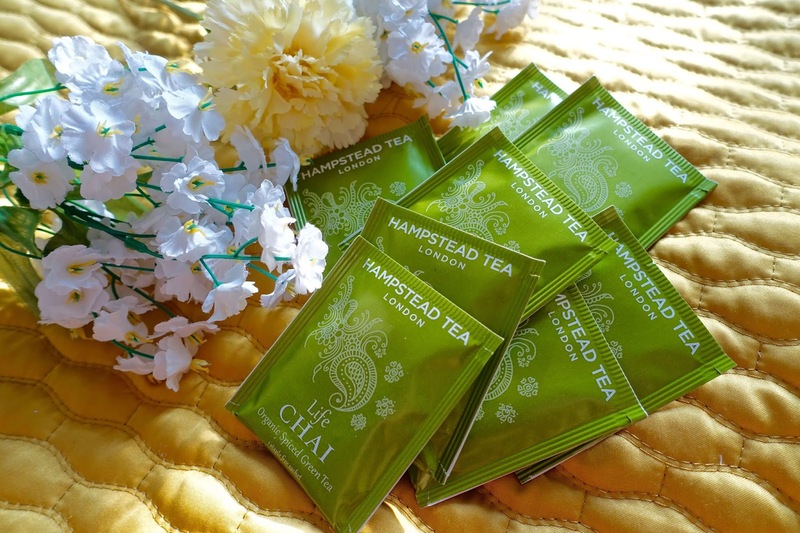 This 'Chai Organic Spiced Green Tea' from Hampstead London has been blended with a variety of exotic herbs and spices to deliver a calming and recharging blend. Upon opening the box of tea, I noticed these each tea bag is bursting with delicious scents which are good enough to eat, it's definitely a welcome alternative to coffee when it tastes and smells this good. 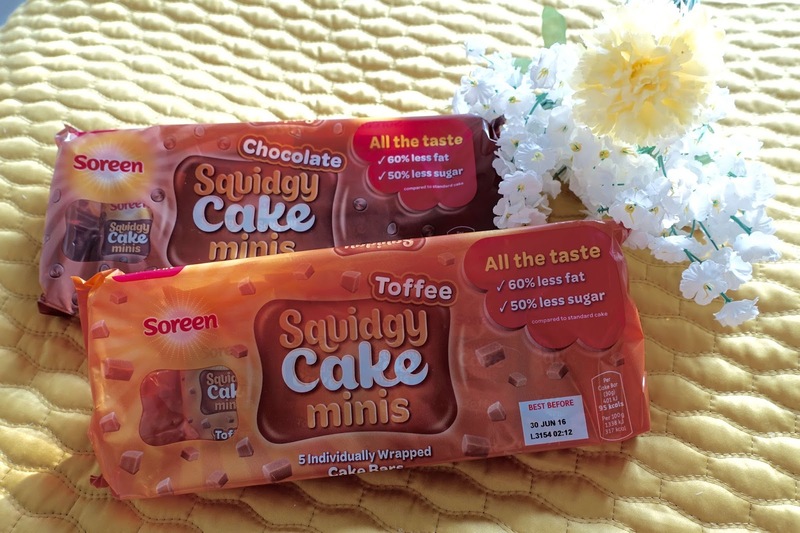 OK - let's get one thing straight, these Soreen squidgy cake minis don't really fit into the bracket of organic and natural, however with 60% less fat and 50% less sugar it sure is tempting to tuck into one of these delicious toffee or chocolate malt cake bars! These mini cakes, are made by the fellow geniuses at Soreen HQ, who already bring you malt loaf. I think these are a great alternative to those naughty snacks we all love and adore with a much higher fat content. So now, there is such a thing as a guilt-free snack - right? (or at least I can feel a little 'less' guilty at least). What healthy snacks have you been loving? I'd love to know - pop in the comments below! Some interesting things to carry on the bag for the summer!